BFC arrives finally with BFC 7 "Heavyweights" a sick night full of blood !!. 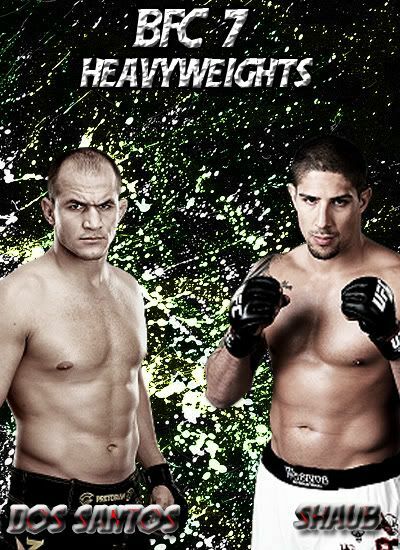 the main event of the evening has Junior Dos Santos, a strong striker vs Brendan Shaub an overall fighter with good striking and good ground game !! a battle for the 1 HW championship !!! 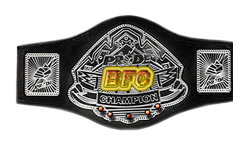 The co-main event brings the LW championship. the champ Bendo looking for retain his belt against the awesome Evan Dunham, a fighter who is in constant move with amazing cardio. We also have the semi-finals in the WW divisions !!! looking for the champ!!! Well Swagger. Knowing that I get on late at night the updates are going to have to wait. Do you understand that? Yes, no? I can help if need be, i'm on my computer almost all day. I can edit the results if someone would let me. KUSH i still dont have an opp for you when someone new add to the league or if any want to make a douuble fight then you will have an opp!! Did i give you a time and date to update results?Just said they needed updating giving you an heads up. although stolenlegacy im fighting in K1 but ill still double fight in LW if needed. I'll fight him if need be. doesnt look like mine and swaggers fight will happen this week... may be able to do it on sunday but im away for the friday sat so wont be able to get it done. Yo arch!!!! Hit me up. Imma be online all night. As of last night you still hadnt accepted my friend request. Please accept..... and also let me know which limb you prefer me to break. The card will be up tomorrow anyway. Lishowron, Ive been waiting for you to add me so we can do our fight all week. Ive even tried adding you but your name isnt the same on ps3. Add me today. "RhinoHerron"
I guess its going to be a no contest than you idiot. Or a win for me cause heres me trying to set our fight up. So give the win to me I guess, cause someone is ducking me like an idiot. You no longer have Kongo, but you need to select a fighter from the other weight classes that you don't have. I should be 2-0 now with Charles Oliveira. Subject: Re: BFC 7 : "Heavyweights"